Gemma Millns in Art & Photography on 9 February, 2017. Since Machu Picchu’s reputation as both one of the New Seven Wonders of the World and a UNESCO World Heritage site is so celebrated, it is easy for one to forget about the other beautiful Incan ruins that exist in Peru and are on offer to travellers. 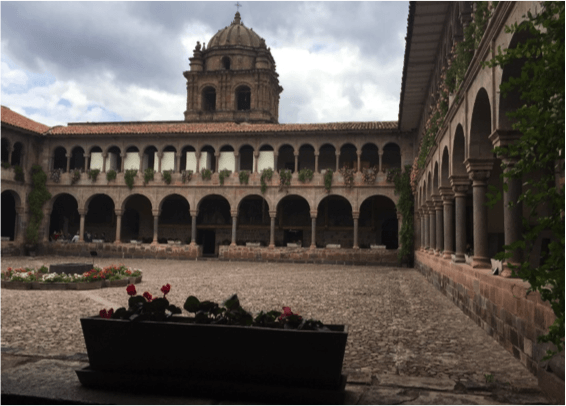 Cusco and Pisac, towns which many tourists visit on their way to Machu Picchu, are home to two unforgettable and amazing architectural sites that are certainly worth a visit. However, later an earthquake completely destroyed this Spanish-made cathedral, and the only thing that remained intact were the Incan foundations that the cathedral was originally built upon. This is worth taking note of because the Incan foundations were built out of huge, tightly inter-locking blocks of stone which were extremely strong due to their sophisticated masonry. However, the cathedral has been rebuilt since and now the site also includes the Convent of Santo Domingo. The next site worth visiting is not strictly speaking an architectural site, however one cannot deny that it is a work of art. 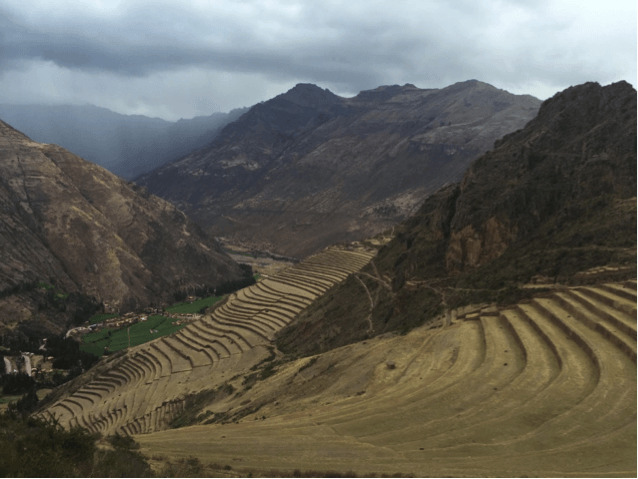 Agricultural terraces were used frequently by the Incas to grow crops such as potatoes. They were built for various reasons. One reason was that in some parts there is little space in the mountain valleys, so the usage of these terraces actually increased the amount of land available for agriculture. Another reason was that the terraces allowed the Incas to control the amount of water used for irrigation, which was especially useful during times of drought. However, the agricultural terraces of Pisac were particularly unique because they were almost entirely unbroken by steps which went up the sides of the terrace. These create many difficulties because they often require greater maintenance and promote erosion. Instead, the terracing was joined by diagonal flights of stairs which were set into the terrace walls. Machu Picchu is a 15th century Inca citadel 2,430 metres above sea level. As a tourist, it is possible to climb to the summit on foot, however there is also a bus service that is provided to get people up and down the mountain. 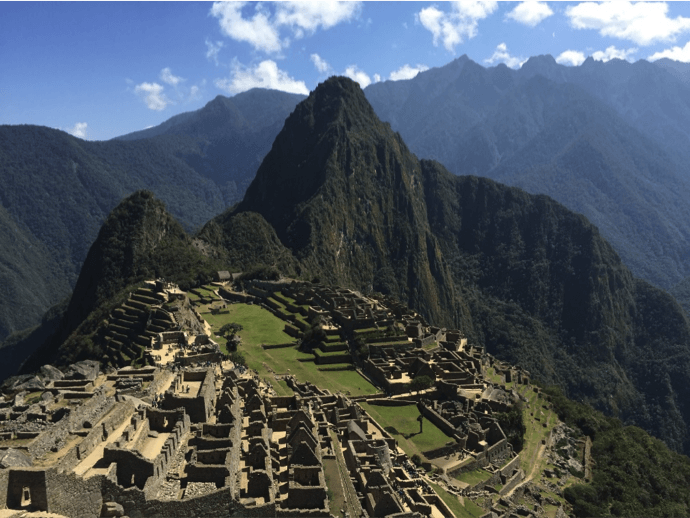 It is generally believed that Machu Picchu was built for the Inca emperor Pacacuti, however it is not clear whether it acted as a ceremonial site, a military stronghold or a retreat for the ruling classes. The Incas had no written language, so this is why it is difficult to determine what exactly its purpose was. It is often referred to as the “Lost City of the Incas”, however this is strictly speaking untrue. The Incas built the estate around 1450 but abandoned it a century later during the Spanish conquest. It was known locally, however it remained unknown to the Spanish during the colonial period and therefore remained unknown to the rest of the outside world until American historian Hiram Bingham ‘discovered’ it in 1911. Today, Machu Picchu is a huge tourist site and the one struggle it faces is how to balance the sites preservation with tourism.